Abstract : In the real world, most objects do not loose volume when they deform: they may for instance compensate a local compression by inflating in the orthogonal direction, or, in the case of a character, preserve volume through specific bulges and folds. This paper presents a novel extension to smooth skinning, which not only offers an exact control of the object volume, but also enables the user to specify the shape of volume-preserving deformations through intuitive 1D profile curves. The method, a geometric post-processing to standard smooth skinning, perfectly fits into the usual production pipeline. It can be used whatever the desired locality of volume correction and does not bring any constraint on the original mesh. 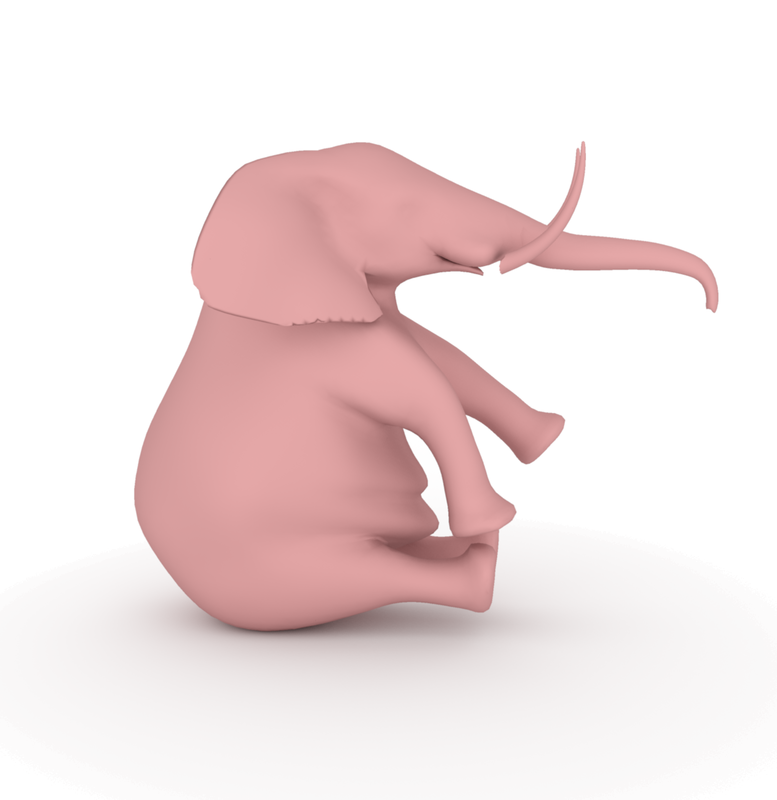 Several behaviors mimicking the way rubber-like materials and organic shapes respectively deform can be modeled. 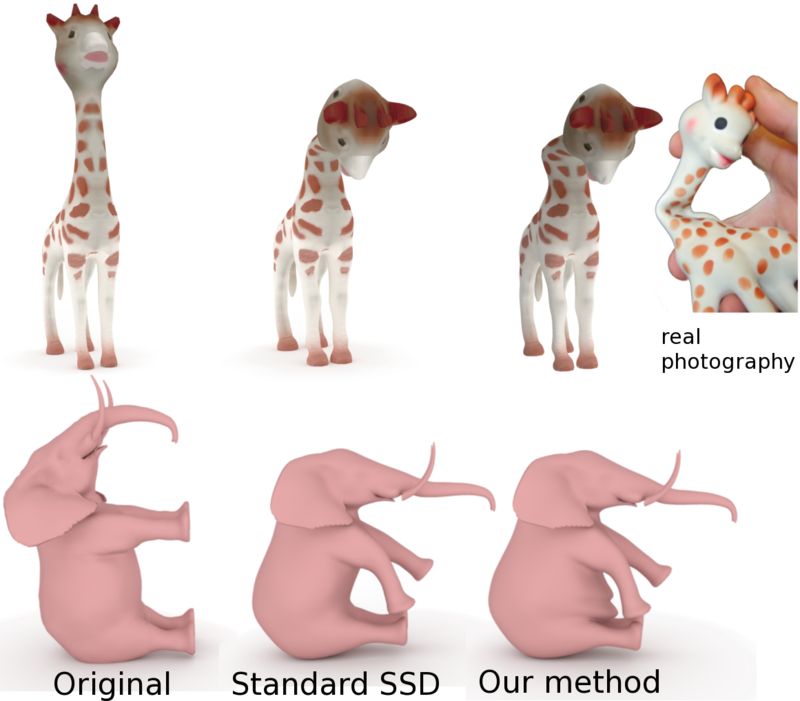 An improved algorithm for robustly computing skinning weights is also provided, making the method directly usable on complex characters, even for non-experts.